Usually, the biggest announcements at CES are over with by the end of the first day, but during its second-day keynote AMD CEO Lisa Su announced a new GPU, the AMD Radeon VII. According to Su, it is the very first 7nm graphics card available to consumers. While Nvidia is leaning on the eye candy of ray tracing, AMD is banking on the hype of a GPU with a smaller process. The last generation Vega GPU was based on a 14nm process. Besides the 7nm size, the Radeon VII will also use 16GB of high-performance memory with a pretty wild claimed 1TB bandwidth. What does that all actually mean? It means, according to Su, better performance at the same power draw. About 25 per cent improved performance on average. Su claimed that the Radeon VII saw 35 per cent better performance in Battlefield V at 4K and the highest settings, and 25 per cent improvement in Fortnite. She claimed the performance extends to non-gaming applications as well, with approximately 30 per cent improved performance in apps like Photoshop and Blender, and a whopping 62 per cent improved performance across other OpenCL apps. Notably absent from the Radeon VII announcement is any mention of ray tracing, the slick feature Nvidia is touting in its GPUs. 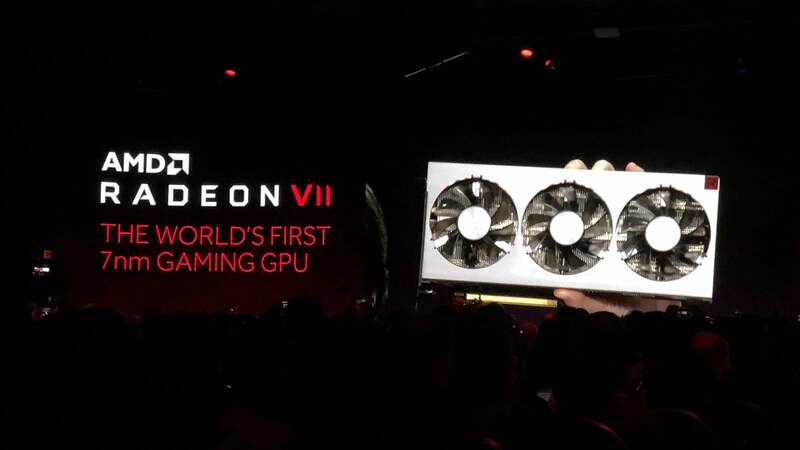 But Radeon VII will cost $700 (£548) in the US when it’s available 7 February. UK pricing and availability is TBA, but given previous Nvidia prices it will probably be in the £700 range. That’s at least £500 less than Nvidia’s top GPU, though twice the price of Nvidia’s cheapest ray tracing card, the just announced RTX 2060. Can it possibly be worth it? We’ll know more when we pick our own Radeon VII card for review in the coming weeks.